Rising spending habits, improved electricity availability, technology advancement and evolving lifestyles are driving demand for consumer appliances in India. Exposure to global technologies and lifestyle has created a shift in perception, with consumer durables no longer just viewed as utility products. Indians today are seeking better designed products for comfort and convenience. For more insight on emerging trends, we organised a consumer durables conference, Ghar Maange More, recently where we invited contract manufacturers, consumer durables & electricals companies, modern retail stores and experts in the appliances & electricals industry. The replacement cycle of consumer appliances market is shortening, which could drive growth in some product segments. This is expected to bolster volume growth over the medium term. The replacement cycle has reduced over the past decade with TV at five years, washing machine at 8-10 years and mobile phones at 2-3 year. 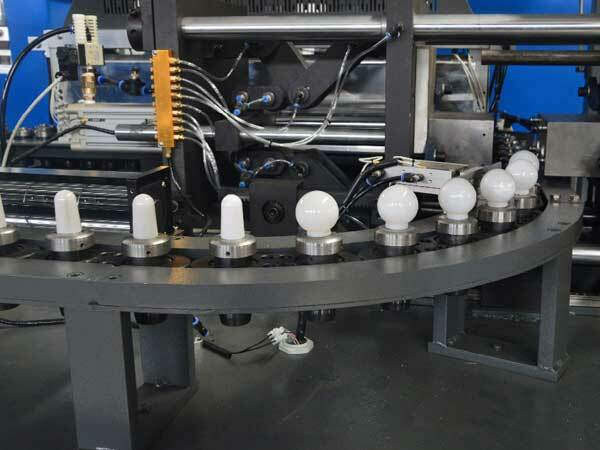 India’s lighting industry is expected to grow by 15-20%, according to Electric Lamp and Component Manufacturers Association (ELCOMA), driven by strong volume growth due to shift to LED lighting from CFL & incandescent bulbs. However, increased competition, low barriers of entry, and fall in raw materials prices are leading to a decline in product prices. Although prices have hit bottom in LED bulbs, there is still a room to reduce prices in other LED luminaries by 10-20% due to change in design. In the long run, only 6-7 firms will remain in the lighting industry, just as in the CFL industry. In the home appliances segment, the online channel share is expected to jump two-fold to 7-8% in 2018 vs 3% in 2017. Further, the share is expected to rise to 10% by 2019 and 12% by 2020 according to the consumer durable company industry Online channel constitutes ~30% of total mobile phone market and expect its share to touch 40% by 2020. The online platform is expected to grow by 25-30% over the same period while overall industry to grow by 10%. Implementation of GST has led to better warehouse facilities, pickup in volume, cost efficiency and improvement in overall supply chain along with removal of price differences across states. Crompton Greaves Consumer Electricals (CG Consumer) is the demerged entity of Crompton Greaves, a leading capital goods company in India. Crompton is one of the oldest brands in the consumer electricals space in the country. The company was demerged in October 2015 and listed in May 2016. It has split its product portfolio into two business heads: 1) lighting & luminaries, and 2) electrical consumer durables, which covers fans, pumps and household appliances, such as geysers, mixer grinders, toasters and irons. Over the past two decades, it has become a market leader in fans, domestic residential pumps and street lighting. The company has six manufacturing units across four states: Goa, Gujarat, Maharashtra and Himachal Pradesh. It has 100,000 touchpoints. CROMPTON operates an asset-light business model with 50% of revenue from outsourcing. The company has 1,530 employees. *Ad spend stood at INR 388mn in FY18 largely towards creating awareness in the minds of young population and attracting customers. However, ad spend currently is aimed towards communicating new, innovative and differentiated products. *Gross margin from lighting sales to EESL stood at ~15-16% as there was no marketing spend and lower distribution cost. Gross margin is lower in the government program for the lighting business, but hails similar on a net margin basis. *The company would continue to focus on its existing product portfolio, where it believes there is a further scope to increased penetration, rather than adding new product categories. Within its existing product portfolio, the focus would be on driving sales from premiumization in fans & pumps and introduction of new & differentiated products in the marketplace (such as Antidust & Air360 Degree fans and LED lighting). Voltas, a part of the Tata Group, is an engineering solutions provider and India's leading room air-conditioning company with a market share of 22.1% at multi-brand retail outlets in FY18. The company’s three business verticals are 1) electromechanical projects, engaged in turnkey projects, comprising HVAC, refrigeration & electrical power, 2) engineering projects that cater to sectors, such as textiles machinery & mining and construction equipment, and 3) unitary cooling products that assembles room & split air conditioners, commercial refrigeration & air coolers. Voltas entered into 50:50 JV with Arçelik AS (a household appliances subsidiary of Turkey-based KOC Group) to access the INR 350bn consumer durables market in India, which is growing at 10-12%, according to the management. The JV would launch products, such as refrigerators, washing machines (WM), microwaves and dishwashers under the brand, VOLT BEKO. The Sanand manufacturing unit of the VOLTBEKO JV is expected to be operational by Q2FY20. Refrigerator will be manufactured followed by WM. Currently, the four appliances are imported from Thailand, Turkey and China. In WM, semi-automatic would be locally outsourced and front-load would be imported. Of the domestic orderbook of INR 28.5bn as on September 2018 in the electro-mechanical projects business, one-third is towards rural electrification, one-third is urban infrastructure (metros, airports, educational institutions & hospitals) and the rest towards private projects, including large projects of convention centre. Metro orders are underground work at Chennai, Bengaluru, Kolkata and Ahmedabad. Smart cities, water management, education institutions, hospitals and metros are expected to drive inflows in the domestic market. V-Guard Industries is one of India’s leading consumer electricals company. Incorporated in 1977, the firm was set up by K Chittilappily, with the manufacturing and marketing of voltage stabilisers under the brand, VGuard. Over the past four decades, the company has diversified into other consumer-related products to become a multi-product firm. The products portfolio consists of voltage stabilisers, digital UPS (inverters) & inverter batteries, electric & solar water heaters, domestic & agricultural pumps, industrial motors, switchgears, wire, induction cooktops, mixer grinders & fans. The company has seven manufacturing facilities: two at Tamil Nadu, one at Uttarakhand, two at Himachal Pradesh and two at Sikkim. About 60% of product sales are through outsourcing. The southern region sales constitutes 65% of total revenue in FY18. *Overall revenue CAGR of 15% over five years, driven by increased penetration in non-south region, rise in distribution network and entering into new product categories (over the past 10 years, the company has added nine products in its portfolio). *The revenue share from the non-south region for stabilisers, inverters and fans is in the range of 35-60% whereas kitchen appliances, switchgears and wires are small. *Online sales constitutes 6% of total sales with channel partners such as Amazon & Flipkart.